A man has been arrested following a domestic incident in Camelon. Police raced to the scene in Main Street this morning (Monday) after receiving a report of a woman screaming in the area. 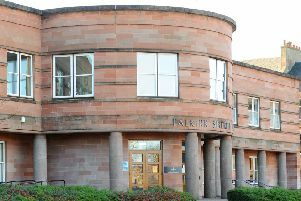 The man, whose age has still to be confirmed, has been placed in police custody in connection with the incident. Sergeant Andy Angus, of Falkirk Police Station, said: “Police responded to a report of a female who was heard screaming in Main Street, Camelon. “A call was received from a member of the public at about 9.50am.